Private fee-charging schools are a visibly ubiquitous phenomenon in both urban and rural Uttar Pradesh. Despite their preponderance and growth, and the public expectation of inclusivity from them, relatively little is known about the nature of private schools in the country, and much of the media and public discussion about them happens in a vacuum of hard facts. This review unravels the enigma by presenting evidence on several important facets of private schools and benchmarks these. 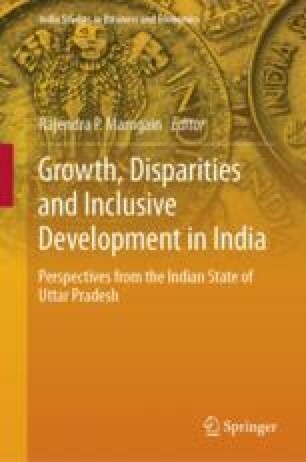 It examines the size, growth, salaries, per-pupil costs, pupil achievement levels and cost-effectiveness of private schools in Uttar Pradesh and compares these with the government school sector. Official data presented here show a steep growth of private schooling and a corresponding rapid shrinkage in public schooling in UP, suggesting parental abandonment of government schools. Fee data from the National Sample Survey 2014–15 shows that, contrary to popular perception, a very high proportion of private schools in UP caters to the poor, where 32% of private school students pay fee less than Rs. 100 pm, and 84% pay fee less than Rs. 500 pm. Only 8% of private school-going children in UP pay fees of more than Rs. 1000 pm, and only 1.5% pay more than 2500 pm. In other words, the elite high-fee private schools visible in urban centres are a tiny proportion of the totality of private schools and are unrepresentative of private schooling in the state as a whole. A striking finding is that the median fee of private schools in UP is only 6.5% of the government schools’ per-pupil expenditure. The evidence on fee levels thus suggests that affordability is an important factor behind the growth of private schools in UP. The main reasons for the low fee levels in private schools are firstly the competition they face from other private schools and, secondly, their low teacher salaries, which the data show to be a small fraction of the salaries paid in government schools. Low salaries are possible because private schools pay the market-clearing wage, which is depressed by a large supply of unemployed graduates, whereas government schools pay bureaucratically determined high minimum wages. Private schools’ substantially lower per-student costs combined with their students’ modestly higher learning achievement levels mean that they are significantly more cost-effective than government schools. The realisation that the bulk of private schooling in Uttar Pradesh is ‘low fee’ is significant because perceptions about the nature of private schools affect how they are judged in the media, in courts, and within government, e.g., with hostility or sympathy; as elitist or inclusive; as extractive/profiteering or as contributors to the educational effort; as lawbreakers (due to their inability to comply with all the stipulated infrastructure norms); or as budget schools that give poor people access to learning. The paper presents data that permits evidence-based judgments to be made about private schools, and it showcases how education policies can be flawed when made without seeking the evidence. This chapter draws from the author’s work “The Private Schooling Phenomenon in India: A Review” published in IZA Discussion Paper Series in 2017 and can be accessed at http://ftp.iza.org/dp10612.pdf. For more details, see Kingdon (2017a). Dongre and Kapur (2016) have made a pioneering contribution by estimating per-pupil expenditure in government-funded schools (government and aided schools) across the Indian states, and they have done it for two time periods, 2011–12 and 2014–15, so they are also able to show the temporal trends in government-funded schools’ per-pupil expenditure (PPE). They have relied on state budget documents for getting information on public education expenditure and relied on the official District Information System on Education (DISE) for information on total elementary school enrolment in the different states. They have perforce had to live with the limitations of the state budget documents, in particular with the fact that different states follow somewhat different conventions, for example, whether to include in the state budget the Sarva Shiksha Abhiyan (Total Literacy Campaign) funds and the mid-day meal funds received from the central government. The PPEs reported in Dongre and Kapur (2016) are likely to be great underestimates for reasons set out in detail in Kingdon (2017a, b). To take one example, Dongre and Kapur estimate the 2014–15 PPE in the government-funded school system in Uttar Pradesh as Rs. 13,102 per annum (or Rs. 1092 per month), but the author’s own estimate of the PPE in the government schools of U.P. for the same 2014–15 year (in Kingdon and Muzammil 2015) was Rs. 23,004 pa or Rs. 1917 pm, i.e. 75% higher than that estimated by Dongre and Kapur; after adjusting for inflated enrolment based on two different surveys of the extent of enrolment inflation, the estimated PPE in government schools of U.P. was Rs. 2320 per month or Rs. 27,840 pa. The true estimate of Rs. 27,840 is thus 112% higher than Dongre and Kapur’s estimate. Another example is that of Tamil Nadu. The Tamil Nadu state’s PPE estimated by Dongre and Kapur (2016) is Rs. 1186 pm or Rs. 14,232 pa, but the Tamil Nadu Government Gazette Extraordinary No. 246 of 24 July 2017 publishes its estimate of the state PPE on government schools as Rs. 25,308 in primary classes 1 to 5 and Rs. 33,036 in upper primary classes. Giving a weight of 5 to primary classes and a weight of 3 to upper primary classes, the weighted mean per-pupil expenditure comes to Rs. 28,206 in 2016–17. Allowing for salary inflation of 8% each year implies that in 2014–15 it was Rs. 24,182 per child. Thus, the real PPE (Rs. 24,182) is 70% higher than the PPE estimated by Dongre and Kapur (Rs. 14,232). Kingdon, G. G. (2017a). The private schooling phenomenon in India: A review. IZA Discussion Paper Series IZA DP No. 10612, IZA—Institute of Labor Economics, Bonn. Accessed at http://ftp.iza.org/dp10612.pdf. Kingdon, G. G., & Muzammil, M. (2015). Government per pupil expenditure in Uttar Pradesh: Implications for the reimbursement of private schools under the RTE Act. CSAE Working Paper WPS/2015-18-2, Department of Economics, University of Oxford. Also accessible at http://www.csae.ox.ac.uk/materials/papers/csae-wps-2015-18-2.pdf.